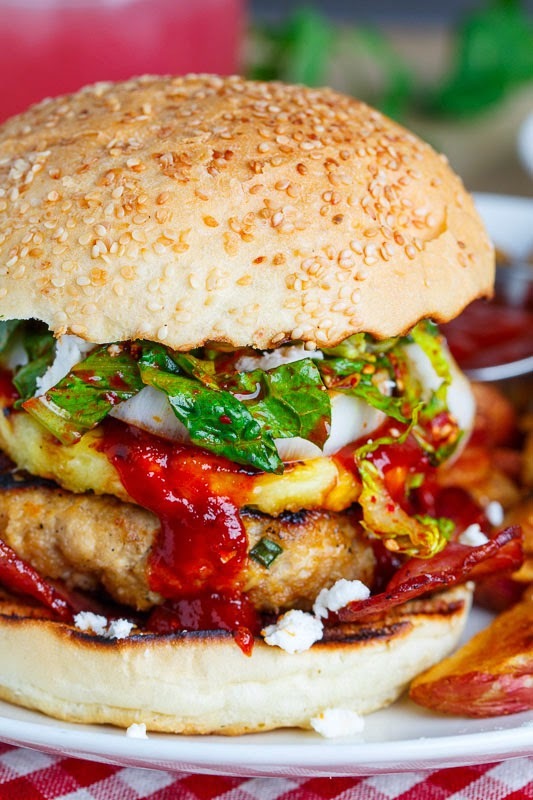 Burgers flavoured Korean BBQ style with grilled pineapple, gochujang BBQ sauce, slaw, bacon and feta. 2/Toss the lettuce in the mixture of the vinegar, soy sauce, sesame oil, gochugaru and sesame seeds. 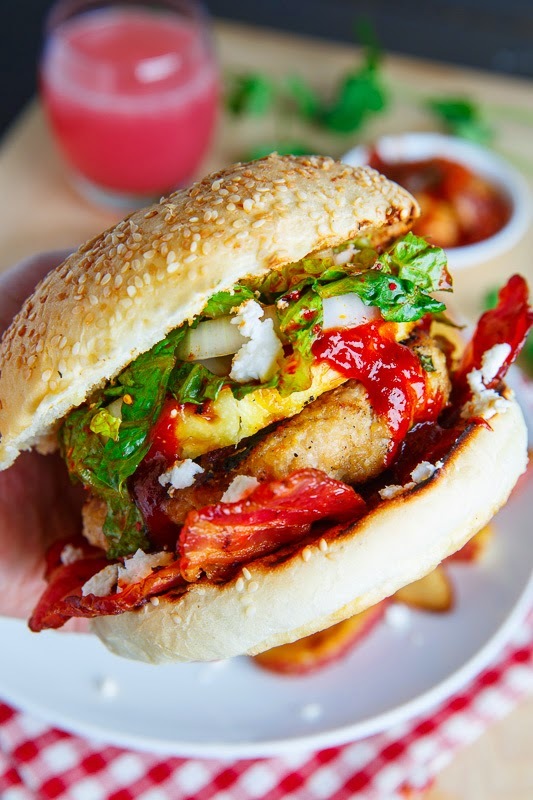 3/Mix the chicken, pineapple, soy sauce, brown sugar, sesame oil, garlic, ginger and green onions, form the mixture into 4 patties and grill or pan-fry over medium-high heat (or broil) until cooked, about 3-5 minutes per side. 4/Cook the bacon until crispy and set aside on paper towels to drain. 5/Grill the buns, pineapple slices and onion slices. 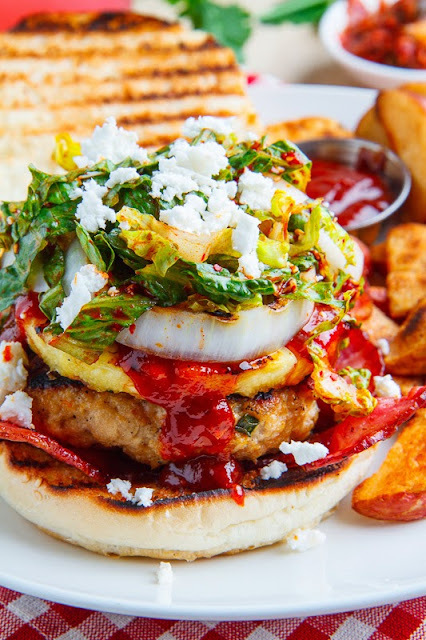 6/Assemble the burgers with bacon, patties, BBQ sauce, pineapple, onion, romaine slaw, cilantro and feta and enjoy!